Birds of Prey are fast and agile warships. 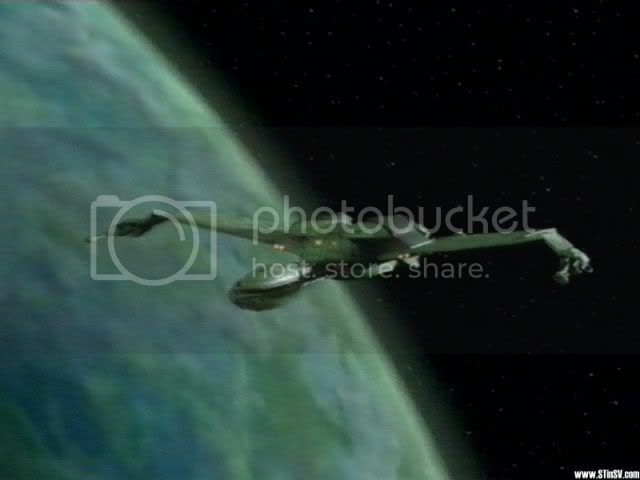 They are the ship of choice for espionage and spy missions, and many Klingon commanders prefer to command them over the larger vessels in the fleet. The wings are movable and have three main positions: slanted down for battle, raised slightly above 180 degrees for cruising, and raised very high for landing (the Bird of Prey is one of the few starships that enter a planet's atmosphere and land on its surface; Federation Intrepid-class ships are another). Some designs incorporate a submarine-like periscope for the captain that also has weapon controls on the handles, allowing him to aim and operate the weapons himself; this design also featured movable disruptor cannons. There are at least two known variants to exist in the 23rd century and into the 24th century, the D-12 scout and the K'vort/B'rel variants. These types of Bird of Prey, like their predecessors, followed a standard design — a large wing span with a neck and a head. The D-12 was retired from active service because of a flaw in their design - a faulty component of their cloaking device could cause it to be activated by certain energy signals, causing the ship to drop shields and cloak at inopportune moments. The B'rel and K'vort variants were larger and stronger, though still classified as frigates/light cruisers. These Birds of Prey were equipped with wing mounted disruptor cannons and at least one photon torpedo launcher, they were also equipped with deflector shields and a cloaking device.